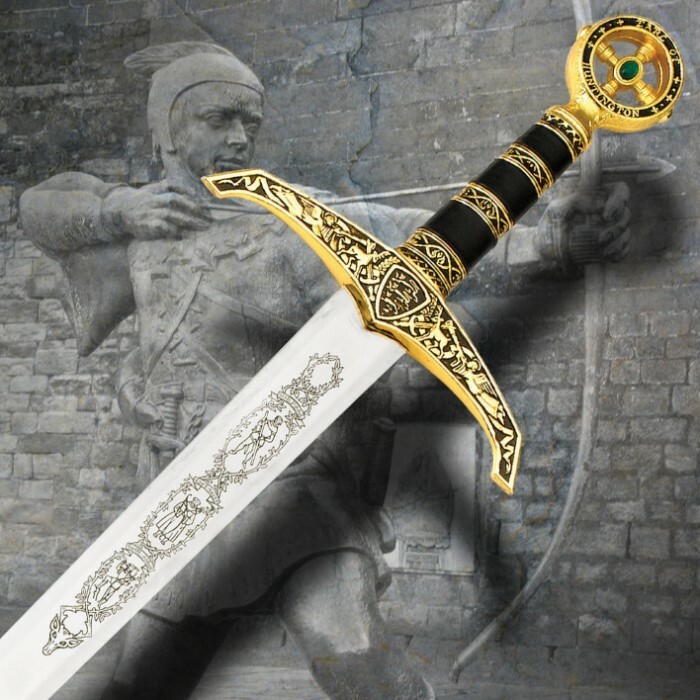 The original sword designed from the actual piece wielded by Robin of Loxley as he battled the rich to feed the poor. 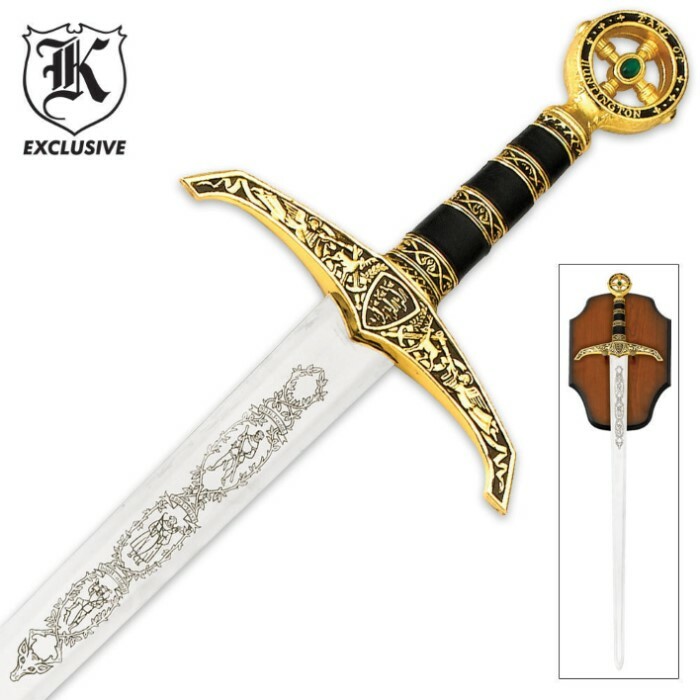 This double edge sword features a 38 in. stainless steel blade with intricate blade etch. The black handle is constructed with cast metal spacers which coordinate with the cast metal guard and pommel designed with intricate engravings.